Teaching for Self-Regulated Learning: Why Aim for Behavioural Compliance When We Can Inspire Learning? This study explored teachers’ pedagogical practices for effective learning in the middle years of schooling. In the context of the primary–secondary schooling transition years in Australia, teacher interviews and classroom observations were conducted to investigate teachers’ everyday practices for planning, instruction, and classroom organisation to frame a pedagogy for self-regulated learning. Evidence-informed practices were identified and classified through the fundamentals for self-regulated learning to explain how the teachers provided opportunities aimed at enabling young adolescent students to rationalise their goals, to accept responsibility for their learning, and to develop their capabilities as resourceful learners within social learning environments. The outcome of this research is a pedagogical model for self-regulated learning. The significance of this model is that it informs teachers’ professional reflection and learning. The findings articulated four core pedagogies that explain what the teacher did to: connect the learning, facilitate the learning; diversify the learning; and socialise the learning. Through these core pedagogies the teachers provided external supports of motivation to generate students’ internal desires for learning that go beyond achieving their behavioural compliance. The model represents a self-regulatory approach to classroom behaviour management that is intended to inspire young adolescent students towards being resourceful learners. Peel, Karen. 2018. "Teaching for Self-Regulated Learning: Why Aim for Behavioural Compliance When We Can Inspire Learning?." 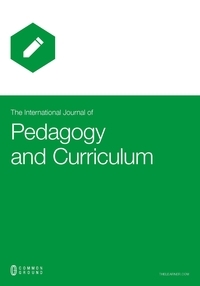 The International Journal of Pedagogy and Curriculum 25 (1): 15-36. doi:10.18848/2327-7963/CGP/v25i01/15-36. Vietnam’s higher education accreditation has been officially implemented for over ten years under the central management of the Ministry of Education and Training. Recently, the Minister of Education and Training has approved the accreditation strategic plan for Vietnam’s higher education from 2017 to 2020. One of the ambitious goals of this plan is to accredit all universities and 10 percent of higher education programmes by the end of 2020. This paper first presents a brief overview of Vietnam’s higher education accreditation system. It then outlines the main points of the higher education accreditation strategic plan 2017–2020, followed by an analysis of the advantages and disadvantages for the implementation of this plan. The paper concludes with several recommendations to fulfil this ambitious accreditation plan. The recommendations are for all levels of Vietnam’s higher education accreditation system: macro level (government), meso level (accrediting agencies), and micro level (higher education institutions). Nguyen, Huu Cuong. 2018. "How to Fulfil Vietnam’s Higher Education Accreditation Strategic Plan 2017–2020." 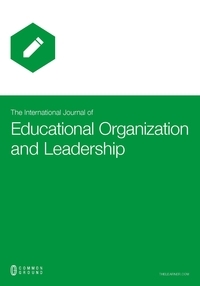 The International Journal of Educational Organization and Leadership 24 (3): 17-25. doi:10.18848/2329-1656/CGP/v24i03/17-25. There is strong support for further research into the teaching and learning of digital literacies in Australian classrooms when considered alongside reported decreases in children’s literacy skills against international benchmarks and recent changes in curriculum policy documents. This article investigates everyday classroom practice, sharing the perspectives of a community of five teachers from one school on the affordances and challenges of integrating digital technologies into their Year 5 and Year 6 writing programs. Semi-structured interviews and professional-learning team discussions were recorded and analyzed using Green’s 3D model of literacy to gain insight into teacher attitudes and practices. Findings suggested that classroom practice within the school community is heavily influenced by teacher attitudes, knowledge, and skills, which in turn significantly influence the resources, experiences, and opportunities provided to students. The outcomes of this small study suggest that further, larger-scale research is needed to investigate teacher perceptions and practices when integrating digital technologies and new literacies as a whole into middle years classrooms. Such research will provide policy makers, school leaders, and educators with greater insights that will assist in the selection of appropriate resources and professional development required to fully support teaching and learning. Hankins, Kristin Elise , and Maria Nicholas. 2018. "Digital Literacies in Middle Years Classrooms: Teachers’ Perspectives and Self-reported Practices." The International Journal of Learning: Annual Review 24 (1): 13-33. doi:10.18848/1447-9494/CGP/v24i01/13-33.